Like new Rustic Chalet. All new Kitchen, flooring, Bedding, Appliances, TV's. Updated bathrooms. Towards the end of a Cul de Sac. Very private yet only 5 minutes from Town. Circular drive can accommodate Snowmobile trailer or Boat Trailer. 10 Minutes from MT Snow Skiing. 5 Minutes from Hermitage MT skiing. 5 Min from the Town of Wilmington. Can Cross country Ski/Snow Shoe, Sled right on golf course. Access to VAST snowmobile trail via the Golf course trail. Minutes to Lake Whitingham( 5 Min) and Lake Raponda(10min) for Kayaking and Motor boats. Hiking and biking trails throughout the area. Access to Hermitage Golf course. *- Only non Shedding dogs will be considered. Please inquire about your pet prior to booking. *-This is not a Party house. We take great pride in our homes and hope that you will respect it like your own. Next door to my other property( 4048605). Please check reviews too see how I manage my properties. Also can combine rentals for large groups with pricing discount. Having been going to this area of VT for 25 years. Always loved the fact that you are in VT but minutes from anything you need. Excellent restaurants and shopping.This is an awesome 4 season resort area. Great lakes for boating and swimming. Great skiing at the Hermitage or Mt Snow. The Foliage is spectacular ! Towards the end of a Cul de Sac. Only minutes from the Town of Wilmington but Totally private. Access to the Hermitage club. Check out www.hermitageclub.com for addl information on club and amenities. Newly added Vanity/floors and Bowl. Smart TV with Dish Sat. Very clean! The space was great for all with room to spare. I look forward to renting again in both the summer and winter. Thanks Kevin. Glad you and your group had a great time. Look forward to seeing you in the summer time to play some golf! If I could give this house more than 5 stars I would. The house was cozy, spacious, with a brand new interior and perfect for our stay! It's even better than the pictures! The home was a quick drive to Mount Snow, restaurants and the super market. The owner Emilio was such a pleasure.. he is quick to respond to any questions or needs you may have and will do whatever he can to make sure you have a nice stay. He was so helpful and friendly throughout the entire process. We had such a great time that none of us wanted to leave! We will definitely be back!! Thank you for the wonderful review. You guys are welcome back anytime. Hope you visit us in the summer also. Emilio was a very gratuitous and accommodating host. His home was very comfortable and quiet. 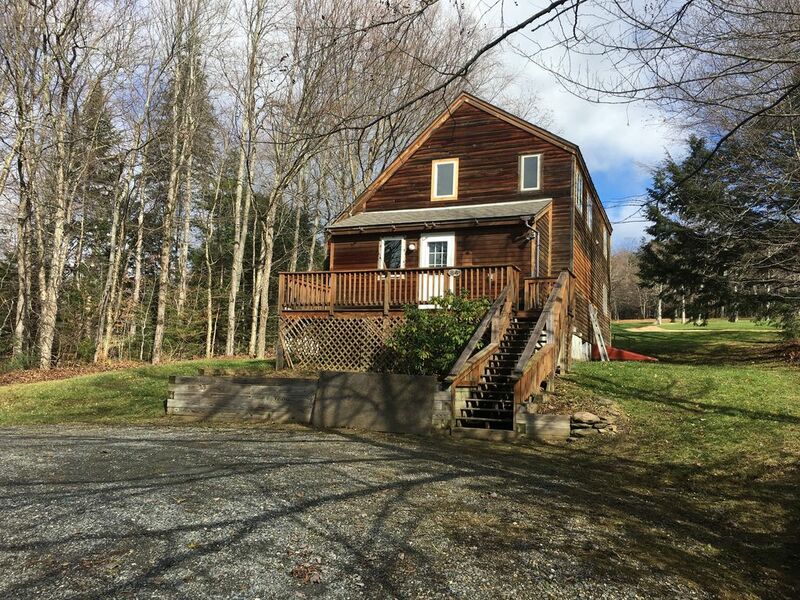 The house is right on the Haystack golf course and about 15 minutes away from Mount Snow. We had a great vacation, skiing 3 days, enjoying dinners out and some family time back at the house. Glad that you and your family had a wonderful time. You guys are welcome back anytime. Beautiful home 15 minutes from Mt. Snow. My friends and I love staying here for our annual ski/snowboarding trip. The house is extremely clean, warm and comfortable. Emilio is attentive and professional. He's quick to check-in with you to ensure all your needs are met and responds to all your questions and concerns in a timely matter. The house is very charming and perfect for groups (6-7 people). I just love the decor and how clean it is. We love cooking in the kitchen. There is an ample supply of cooking pots and utensils. The fire place in the living room is the perfect spot to warm up after a long day on the slopes. Thank you Christina for the wonderful review. Glad that you guys had another great trip. Look forward to seeing you again next year. Please consider coming up in the summer also. It's amazing! Had an amazing time, very nice house and owner and great distance to Mount Snow. Highly recommend! glad that you guys had a great time. You are welcome back anytime. Hope to see you soon. The house was perfect and to add Emilio was very easy to work with during our stay. We arrived early and he was very happy to accommodate an early checkin to change for the mountain, which is an easy 10 min drive away. The reco's for food were great. Highly suggest The Last Chair. I'll be sure to be in contact and hope the house is available again! Thanks for the wonderful review. Glad that you guys had a great time Dan. Thanks for caring for our home and hope to see you back soon.